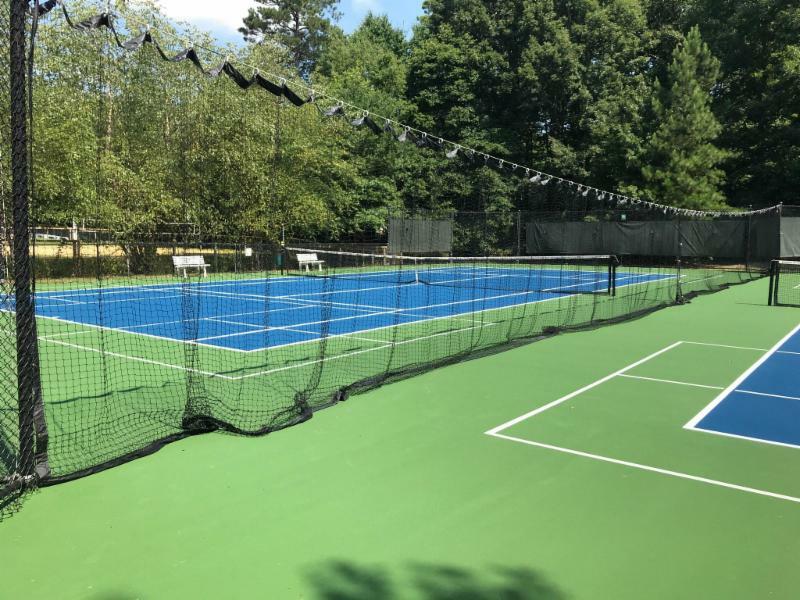 Pickleball – Woodlake: Life on the Lake! A court sport that combines elements of Tennis, Badminton, and Ping Pong. Pickleball was invented in 1965 on Bainbridge Island, a short ferry ride from Seattle, Washington. Three dads – Joel Pritchard, Bill Bell, and Barney McCallum — whose kids were bored with their usual summertime activities — are credited for creating the game. Pickleball has evolved from original handmade equipment and simple rules into a popular sport throughout the US and Canada. The game is growing internationally as well, with many European and Asian countries adding courts. Pickleball has a very interesting name, especially since no pickles are used. Accounts of how the name originated differ. 2. According to Barney McCallum, the game was officially named after the Pritchards’ dog Pickles, who would chase the ball and run off with it. Others claim both accounts may actually be true. In the early years, no official name was assigned to the game. However, a year or two after the game was invented, the Pritchards purchased a cocker spaniel and named it Pickles. As the game progressed, an official name was needed and “pickleball” was it. It is a fun way to exercise, get in shape, and meet new people! It is the fastest growing recreational sport for ALL ages! It's easy to learn. Equipment is provided. Attire is sportswear w/tennis shoes.